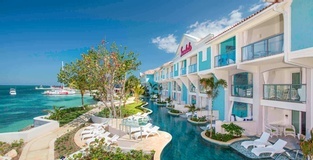 With the launch of Sandals and Beaches Resorts’ tenth and newest wedding inspiration, Band of Gold, brides and grooms have even more choice to help them personalise their wedding day. 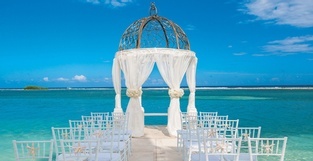 Inspired by gold and now available for sale for weddings at Sandals Resorts and Beaches Resorts taking place after 1st November 2018, the Band of Gold inspiration will help couples looking to be on trend create their own golden rule with a stunning metallic flair – accented by sapphire and white blooms – that frames their special day in modern elegance. Ceremony décor is available with gold or sapphire fabric against a white ceremony structure, with various seating décor available for white chiavari chairs ranging from gold chair backs with floral or non-floral accents to gold or sapphire chair covers with non-floral accents. Ottomans with gold covers can jazz up the celebration, along with tailored bar décor and reception table linens with brushed gold/crème. With the Aisle to Isle destination wedding experience, Sandals has replaced wedding packages and themes with inspirations in response to the millennial brides and grooms seeking inspiration and information above all else when planning their wedding celebration. 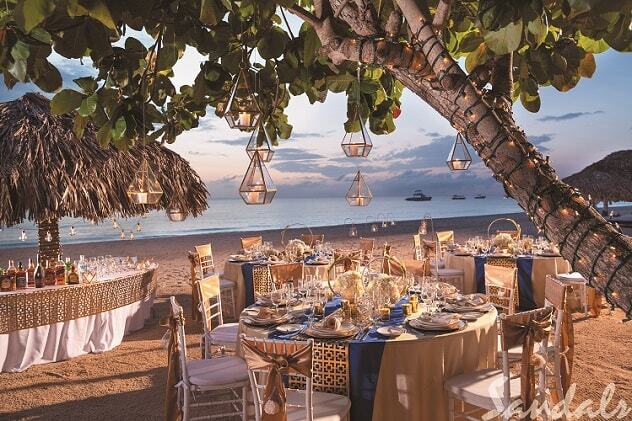 Sandals empowers couples to plan their dream destination wedding by giving them endless choice. 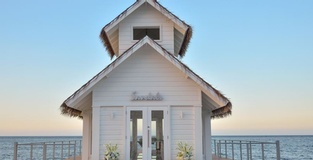 Sandals offers a free wedding to couples that book three nights or more, providing brides and grooms with everything they need to celebrate their special day – from a personal wedding planning team and a stunning ceremony venue, to the bouquet and boutonniere and the cake. Plus, the more people couples bring to the wedding, the more Bells & Whistles are included. Couples can even test-drive their dream destination wedding and honeymoon with a two-night stay including a sneak peek of venues, wedding linens, cake options and more, starting at USD$500 per couple.